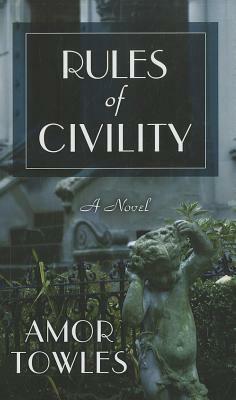 Set in New York City in 1938, "Rules of Civility" tells the story of a watershed year in the life of an uncompromising twenty-five-year- old named Katey Kontent. Armed with little more than a formidable intellect, a bracing wit, and her own brand of cool nerve, Katey embarks on a journey from a Wall Street secretarial pool through the upper echelons of New York society in search of a brighter future. Elegant and captivating, "Rules of Civility" turns a Jamesian eye on how spur of the moment decisions define life for decades to come. A love letter to a great American city at the end of the Depression, readers will quickly fall under its spell of crisp writing, sparkling atmosphere and breathtaking revelations, as Towles evokes the ghosts of Fitzgerald, Capote, and McCarthy.